July | 2010 | Another Beautiful Day in Paradise! I need to get some exercise, but “darn” it’s been hot lately. So I’ve decided to change my daily routine. I used to run for exercise, but in recent years the gout in my toe and my sore knees have put an end to that. Instead, I have been walking about two miles nearly every day, usually on my lunch hour. I have time for about a two-mile walk and a quick lunch at my desk. I don’t normally work up so much of a sweat that I need a shower after the walk, but that has changed in recent weeks. Mid-day temperatures have been in the mid-90s most of the summer. So I tried changing my walk to the early evening. It’s still hot, but I don’t have to worry about sitting around the office dripping in sweat afterwards. Yesterday, it was still in the mid-90s at 6 pm and the humidity was like a locker room. I was totally drenched in sweat, and not from the exertion. That’s ridiculous. This morning, I set the alarm for about 40 minutes earlier and went out for my walk before the sun came up. I am not an early-morning person, so I don’t know how long this will last. They say if you do something consistently for 30 days it becomes a habit. We’ll see. The good parts are that it is much cooler. And on many days, if I don’t walk, I can cut my lunch break to 30 minutes and leave a half hour earlier. That has a draw to it. I remember very well my first introduction to a wild alligator. Fresh from Pennsylvania, it was my first or second day as a student at the University of Florida. I was walking across campus with one of the guys from my dorm when passed by one of the many ponds on campus. I didn’t know what he was talking about, so he explained that Albert is the nickname for the UF mascot, Albert the Alligator, but was used generically to refer to all alligators. Much to my surprise, there he was — a six-foot gator, just catching the rays at the water’s edge. I soon discovered just about every one of the very numerous ponds around the campus had a resident alligator. Lake Alice, on the perimeter of the campus, was a nature preserve with an entire colony of the reptiles. Not-too-bright students would feed them marshmallows. One crazy dude, “Gatorman,” would wade out into waist deep water to feed them. All of that is just a long way of saying that I don’t get freaked out by alligators. I think they are pretty cool. However, I ran across this video today from a South Georgia state park, and it did give me the chills. Supposedly those guys were in a 14-foot aluminum john-boat. They are as crazy as my old friend, Gatorman. A summer vacation from school is a long tradition dating back to the days when the kids were needed to help on the family farm. In just the past couple of days, I have run across two articles discussing the concept. The Atlanta Journal-Constitution interviewed people who think school starts too early and the kids and the tourism industries need a longer summer break. 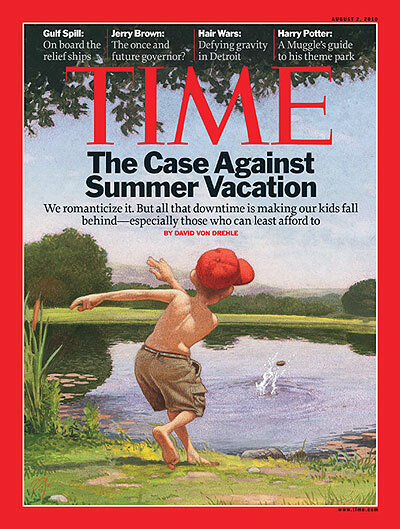 On the other hand, Time Magazine has an article in this week’s issue that partially blames the summer vacation for lagging performance by American students, particularly those from lower income families. . There was never any question when I was younger; summer vacation was clearly my favorite time of year. As an adult, however, I have had reason to question why the school systems sit idle for so much of the year. Putting student performance aside for a moment, because I have no experience or expertise in that area, just look at the typical school calendar from an efficiency standpoint. School systems spend millions on buildings, books, supplies, computers, etc., but only use them for 70% of the time. (A typical school is open for 180 days. There are approximately 260 workdays in a year.) What kind of business could afford to compete if it allowed its facilities and equipment sit idle for 30% of the year? The same concept can be applied to teachers. They are underpaid on an annual basis, although less so if you consider their pay and workload on a per-day basis. A typical young worker in another field may work roughly 245 days per year, allowing for two weeks vacation and five holidays. A typical teacher contract is for 185-190 days. Looked at on an annual basis, teaching is really a part-time job. While there are some really great teachers out there, overall the teaching profession does not attract the “best and the brightest.” One reason for this is pay; young adults who are looking at careers know they can make a heck of a lot more money in fields like medicine, law, engineering, finance, business, and so on. Society could easily justify giving teachers a 29% annual pay increase, if the educational system allowed them to work the same number of days as most of the rest of the full-time world. We have a good friend who is a teacher. She complains about her low pay. However, we don’t hear complaining about her fall break, spring break, Christmas break or more than two months of vacation during the summer. A year-round school calendar doesn’t necessarily mean that every student would need to be in class for the entire year. Although I suspect some expansion of the number of classroom days wouldn’t hurt performance any. Many colleges solve this problem with summer terms during which the classes meet for fewer days, but for longer time periods each day. And still allow time for family vacations. Another book report. Why not? It’s a slow summer and I don’t have a lot else to write about. As I have mentioned in the past, both Mrs. Poolman and I love to read for pleasure. Her tastes tend to run towards “chicky books” while I like history, mystery, military and adventure. Nelson DeMille is an author whose books just jump off the shelf and into my hands when he releases a new work. I just finished “The Lion,” and I was not disappointed. If you like adventure novels and are not familiar with DeMille, you need to introduce yourself immediately. He is a great story teller. His works aren’t great literature and there are no deep meanings to his writing. He just writes excellent stories that are compelling to read. I first “met’ DeMille thorugh his novel, “Charm School,” which is the story of an Air Force air attaché in Moscow during the Cold War who discovers the Soviets have a group of Korean and Viet Nam War POWs who they use to help train Soviet spies how to pass as Americans (hence, the title “Charm School”). Since then, I have read nearly everything else he has written and they all range from very good to excellent. He has several main characters which appear in multiple novels. Paul Brenner is an Army CIS investigator who appears in “The General’s Daughter” (John Travolta played him in the movie.) and“Up Country.” Retired NYC police detective John Corey is the main character in “Plum Island,” “Nightfall,” “The Lion’s Game” and “The Lion.” Actually both Brenner and Corey are really the same person. They just have different names and appear in different stories. Both are wise-cracking, sarcastic and iconoclastic criminal investigators. The Lion is the story of John Corey’s quest to track down a Libyan-Arab Jihadist assassin, aka “The Lion,” who has come to the United States to kill Corey and a bunch of other people. His motive is based on revenge for the death of his family in the US air raids in the mid 1980s. The Lion is ruthless and creative. This is not a book for the squeamish. If it were a movie, it would get an “R” rating for violence. The Lion is a sequel to an earlier DeMille novel, “The Lion’s Game.” You can read the sequel without reading the initial story first, but you would enjoy both books more if you read them in order. The book has it faults. DeMille stretches believability with The Lion’s initial attempt to kill Corey’s wife. It is far too bizarre. And at the other end of the novel, when Corey is lured into a final showdown with the assassin, the only person who is clueless to what is coming is Corey himself. Corey narrates much of the story in the first-person. His wise-cracks and his mental side comments make him fun to hang out with, even if there is someone trying to kill him and everyone around him. 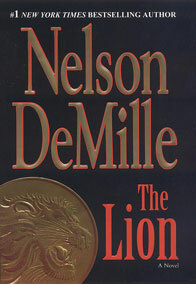 While some of DeMille’s other novels have plot twists and some mystery, The Lion is predictable, straight adventure. You know what is happening and how it will eventually end, but it’s still interesting to be along for the ride. In summary, it is a fun summer read. Go find “The Lion’s Game” first, and then read “The Lion.” You won’t be disappointed. Mrs. Poolman and I don’t always communicate as well as we should. I suppose that is probably true of most married couples. Wives generally, and maybe justifiably, blame it on the husbands. In our case, that may be partially (or substantially) true, but we have another issue that is sometimes funny and sometimes frustrating. Mrs. P is simply incapable of answering a simple question. She will jump around or jump ahead, but almost never does she simply answer the question I have asked. She is a lot smarter than I am so she is probably reading my mind and anticipating what I am really trying to ask, and answering my second or third question, but on occasion it can be frustrating all the same. This morning, Mrs. P heard my alarm go off when she was about to walk out the door to go to work. She came into our bedroom with car keys in hand while I was sitting on the edge of the bed still trying to come awake. I was already thinking ahead to this evening. Since she is working, I’m responsible for dinner. We have several options, but I did not want to duplicate whatever she took for lunch. She packed chicken salad for her lunch but it would be all right to have it for dinner also? Chicken salad would be all right for her lunch? She really didn’t really want to have chicken salad for either meal, but didn’t want to come right out and say so. That is too much thinking for me when I’m not entirely awake yet. We have exchanges like this all the time. Oh well. I guess little mysteries like these keep the spark in a relationship. Things have been slow around here this week, but I did finish another book worth mentioning. Here are some bullets. I got an email this morning from an old friend. We probably haven’t seen each other face-to-face in probably 40 years, but we have exchanged some Christmas cards over that time. She said “Andy Warhol is right.” Betsy is enjoying her 15 minutes of fame in the form of an article in the August edition of Readers Digest. Betsy is a veterinarian in Pittsburgh. She saved a stray kitten with a broken spine. 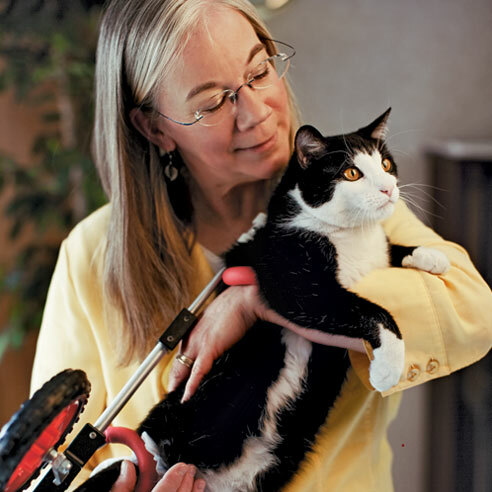 The cat, Scooter, now moves around with his hind-parts on a cart and visits nursing homes. Nice touching story you can see, complete with video, here. I attended the Savannah Gator Club annual gathering last night. The speaker was GatorCountry.com editor Franz Beard. Franz did a great talk. Things are looking better for the Gators this fall than many opponents would like to admit. That’s just fine. It’s better to sneak up on ‘em. 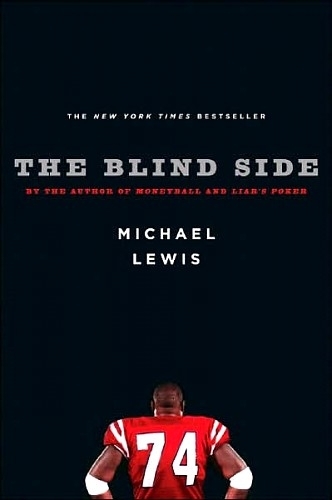 I just finished reading “The Blind Side” by Michael Lewis. Everyone is at least familiar with the movie by the same name starring Sandra Bullock. The book upon which the movie is based expands the subject matter of the movie. The film pretty much concentrated on football player Michael Oher and the manner in which he came into the family of Sean and Leigh Ann Touhey and eventually became a star athlete. The book adds significant color and texture to that story. It also develops two additional themes – the change in the NFL that made the left tackle position the second most important position on the field; and the issue of poor, black, inner city kids trying to use sports to get out of the ghetto. I enjoyed the book a lot. The Oher-Touhey story is interesting and touching all on its own. The two additional themes just add on to the value. If you liked the movie, you’ll like the book. Even if you thought the movie was a little schmaltzy and over done, you’ll still like the book. We are looking forward to company this weekend. This time it is the gang from Mrs. Poolman’s side of the family. It will include a sister-in-law, a niece and nephew, both with significant others, a grand niece and a large rambunctious boxer (dog.) There will be lots of eating, drinking, visiting and hanging out by the pool. When I got home tonight, I went ahead and mowed the lawn, and cleaned the pool and back yard to be ready for them. We had a semi-slow weekend. Saturday consisted of going out to lunch and running errands. Writer Princess, SIL and a couple of their friends came over in the late afternoon to hang by the pool. We made sandwiches for dinner and watched a movie. Sunday wasn’t any more exciting with about a ton of laundry. I also cleaned up our home office, which has been a mess ever since we just dumped a bunch of stuff in there during our “home improvement” project last winter. We have more company coming next weekend (Mrs. Poolman’s side of the family), and I needed to make at least enough room for a blow-up mattress. I did finish a book I had been reading, “The Pacific” by Hugh Ambrose. This is he companion book to the HBO mini-series (which I have not seen). It is also intended to complement Band of Brothers by providing the viewpoint from the Pacific campaign. 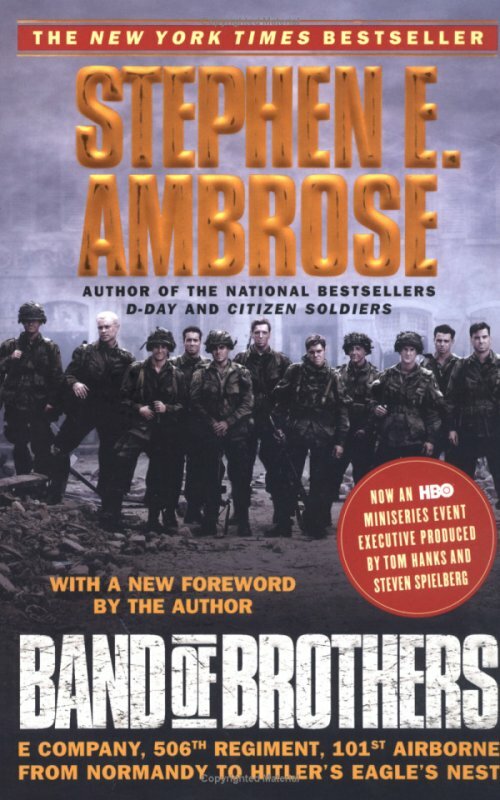 The author is the son of historian and author of “Band of Brothers,” the late Stephen Ambrose. 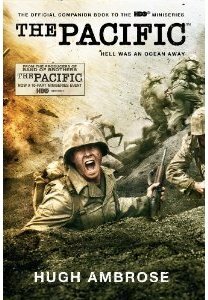 Like “Band of Brothers,” “The Pacific” is non-fiction. I have to confess I was somewhat disappointed. As much as I am a military history geek, I still did not feel myself being pulled into the story. The book follows the lives of four Marines and one naval aviator through World War II in the Pacific Theater. It simply was not as compelling as its antecedent, “Band of Brothers.” In BoB, the story followed one group of paratroopers from their initial training to VE Day. While some of the characters came and went, there was one consistent thread of continuity. In “The Pacific,” however, the four characters each had their own separate stories. Occasionally, those story lines would touch another, but for the most part, they ran on different tracks. I think Ambrose was further hindered by the fact that only one of those five main characters is still alive. On the other hand, his father was able to personally interview his primary characters in “Band of Brothers.” That book was published in 1992 when many WWII veterans were still alive. That gave “Band of Brothers” a closer, more intimate relationship between the reader and the characters. Hugh Ambrose worked mostly off of second sources, such as diaries and letters. The result is the characters are a little more distant and less compelling to the reader. It’s been a busy two weeks around Casa Poolman. Last week, we had out-of-town company all week. My cousin’s wife, their two children (6 and 9) and their golden retriever came down and spent the week at the Casa. She wanted to introduce her children to some Savannah history. Of course there were also trips to the beach and plenty of time in the Poolman’s pool. Cousin D joined them for the weekend. All in all, it was a good week. The kids are exceptionally pleasant and well behaved. We did a lot of cooking. Plus, just the presence of another family in the house creates additional daily maintenance needs. To be honest, though, seven days is a long time no matter who the company is, and it was great to have our house back. The doggie guest was well behaved, but our cats were very happy to see him hit the road. Sid the Tailless was tolerant of Max, but Berta the Chickenhearted just hid out all week. We only saw her at night when the dog was crated and behind closed doors. It’s just a four day work-week, but it seems like it has gone on forever. About two weeks ago, I sent out our speakers bureau “menu” to a bunch of civic clubs in the area. As I hoped, I have been getting numerous calls for speakers. Yesterday, I took on an assignment myself and spoke to roughly 40 Rotarians in one of the area’s bedroom communities. Judging from the body language and the questions I got after the talk, I thing it was well received. That made me feel good. I’m hoping for a fairly laid-back weekend. It’s hot as all get-out here today, 99 degrees right now. No point in straining in that kind of weather.